Ever since Mark Zuckerberg’s big Facebook update, marketers and business owners alike have been scrambling for solutions to what people are calling a “stifling” of organic reach for Facebook business pages. The new algorithm serves to present less posts from “businesses, brands, and media”, in preference of more personal content and meaningful interactions. What this means is that business owners have to rethink how to increase engagement on their business Facebook pages – a prospect that has left many scratching their heads. The solution may lie in harnessing the power of Facebook itself – through a little thing called a messenger chatbot. Research shows that the number of people using messaging apps is on the rise, even surpassing those using social networking apps. Direct messaging, specifically, allows users to communicate in a way that’s more interactive that previous forms of communication, and in real time. 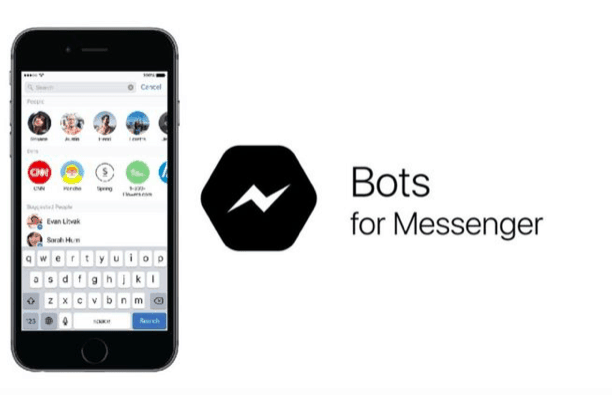 Facebook’s own Messenger app creates a medium for people to message friends, video chat, and even send payments! Further still, developments in chatbot technology present vast potential for business owners hoping to boost engagement on their Facebook business pages. Quite simply, a chatbot is a tool (often defined by rules and artificial intelligence) that a user interacts with via a chat interface. If you have ever received what seemed to be an automated message via Messenger, Instagram, or even Tinder, then you likely were interacting with a chatbot. What’s so great about chatbots is that it allows business owners to learn from the behavior of their followers and customers, and encourage engagement across their social media platforms. Promote special events, discounts, and products and much more! Facebook chatbots guide your followers and potential customers through prompts, to encourage them to complete an action, such as scheduling an appointment or signing up for updates. You can increase your Facebook page engagement tenfold by encouraging interactions, and decrease your dependency on organic reach. Chatbots help you rise above the algorithm and grow your following through intuitive technology. Below is an example of a Facebook chatbot in action. Here, the business owner follows up with one of their Facebook page followers to send them a message. 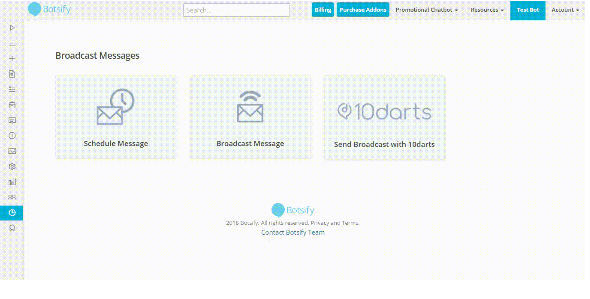 Tools like Botsify and Chatfuel help you create your own chatbots without complicated programming. Though there are loads for articles online that cover the DIY approach, most business owners find it necessary to employ one of these tools in order to set up the best chatbot experience for their business. This video, provided by Botsify.com, goes over the ins and outs of chatbots, and how to get started. This tool will allow you to set the parameters for your bot, determine the automated responses, and what actions you want your customers or followers to perform. The tone, style, and process of your chatbot can be tailored to your unique business and target audience. If you have any questions about the benefits of chatbots and how to use them to increase engagement on your social media pages, don’t hesitate to comment below. 10x your Facebook page engagement and grow your business through the exciting technology of chatbot marketing! Jessica – Great article! I knew about Facebook messenger, but had not heard of chatbots. I especially appreciate the link to the video. This is something I’ll have to look into and research more. As you mentioned, things have been changing on Facebook. It’s great that there are tools to help bloggers and business owners overcome these changes. Thanks again!